Are you looking to learn Arabic? 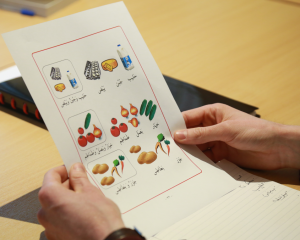 We provide small group Arabic classes for adults and children. Our classes have 1-4 students in them so that students can get all the attention they need to learn quickly. We provide classes for school students who need that extra bit of help with their languages. These classes are taught by experienced Arabic teachers. All of our teachers are DBS checked. We also provide Arabic classes for adults who would like to learn a foreign language, whether for work or pleasure. Like all of our classes, these are available in the evening so that they can fit around a working schedule. So if you’re looking to learn Arabic for work or personal reasons contact us through the Contact Us page.